Considered a great centre of Shaivism, Bhubaneswar is also home to several Shakti shrines. In fact, the earliest form of Shakti worship in Odisha in the form of Stambhesvari is there at Bhubaneswar’s Bhuasuni temple. According to ancient scriptures, it was during the Bhauma period that Shaktism first made its appearance in Bhubaneswar and it was the Bhaumakaras who patronised the Shakti cult in Ekamra Kshetra through Shakti temples. Four Shakti shrines sprang up on the four sides of Bindu Sagar near the Lingaraj temple; they are now known as Vaitala, Mohini, Uttareswar temples. The name of the Shakti shrine on the east of the water tank, which still exists, has been lost. These Shakti shrines contain either the images of Chamunda or of Mahisasura Mardini. And in many other temples, different manifestations of Shakti such as Mahisamardini, Sapta Matrukas, Parvati, Gauri, Chamunda, Bhubanesvari, 64- Yoginis, etc. appeared as Parsva Devatas. Of them, the Vaitala is the most prominent and a study of its sculpture and architecture indicates that the strange esoteric rites including human sacrifice were being performed in it. The presiding deity of Vaitala temple is Goddess Durga’s tantric avatar — Goddess Chamunda— garlanded with skulls and is known as Kapalini. Kapalini was the deity of the Kapalikas. “Vaital Deul temple depicts Chamunda in her gory best, with dancing ghosts and goblins hitting the drums of victory around her. In the darkness of this small temple, with hardly any windows to bring in daylight, the appearance of the Goddess in the lamp light can trigger the emotion of fear and echo the thought of death in our heads for longer than we ever felt it,” says the priest of the temple. The name Vaitala is derived from Vetala, the spirit whose help the Kapalikas and Tantrikas sought for the attainment of Siddhis. “In the Vaitala temple strange Tantrik rites like human or animal sacrifice were being practised. In front of the temple, the basement of a stone Yupa which was used for sacrificial purposes is found. 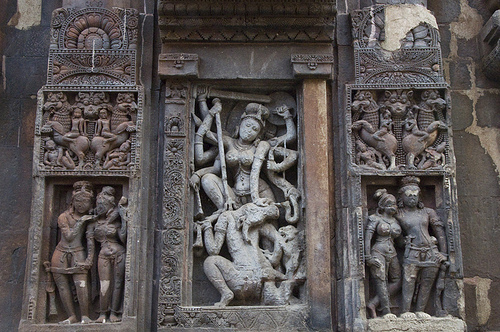 In the inner wall of this temple, a fierce image of Bhairava is found,” said Prof. Sadasiba Pradhan, head of the postgraduate department of ancient Indian history, culture and archaeology of Utkal University. Located at a busy tri-junction, within walking distance from Lingraj, the Vaitala temple follows the khakhara architecture style and also has an elaborate eight-handed Durga panel in the Mahisasur Mardini posture. The complex also houses another temple by the name of Sisireswar. 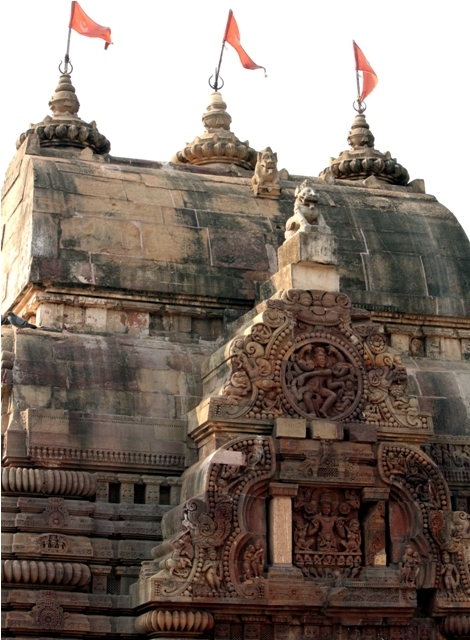 The 8th century Sisireswar temple also contains a Mahisa Mardini image in the northern central niche of the vimana. Archaeologists believe the Sisireswar temple belongs to the same period of architecture as the Vaital and is a protected monument under Archaeological Survey of India (ASI). Mohini temple, the eighth century monument — a tantric site — that lies alongside the southern embankment of the Bindu Sagar, is protected by the State Archaeology. The shrine, one of the rare Shakti pithas in the Old Town area, is a living temple, with Goddess Goddess Chamunda being worshipped in the sanctum. Mohini literally means the temptress, but Chamunda, the presiding deity of the temple, hardly looks the part. The 10-armed goddess can be seen in a dancing posture, standing on a corpse. Many tantric statues lie abandoned in the corner of the temple’s precinct. The worship of Sapta Matruka (seven Mothers) was another form of Shaktism during the Bhaumakara period. The seven goddesses are Varahi, Indrani, Vaishnavi, Kaumari, Sivani, Brahmani and Chamunda. The deities are of two or four-armed. 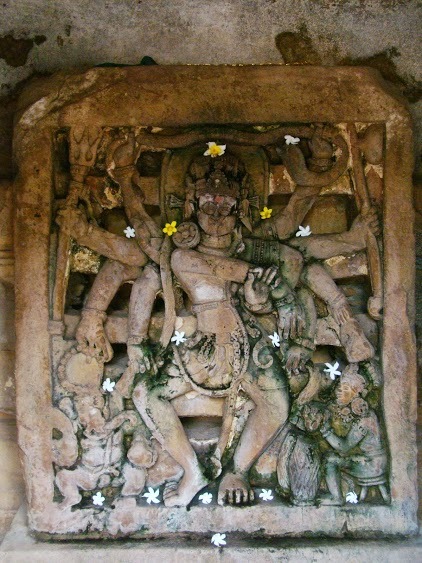 The earliest representation of such Matrukas was found at Parasurameswar, Vaitala and Mukteswar temples at Bhubaneswar. In fact, though the 7th century AD Parasurameswar temple is a Shiva shrine, it contains the images of numerous Shakti deities as Parsva Devatas on its walls. For the first time, the depiction of Sapta Matruka images was found here. “The images of Chamunda, Varahi, Indrani, Vaisnavi, Kaumari, Sivani and Brahmi with their two associates Ganesa in the beginning and Virabhadra at the end are beautifully carved out from the south-west corner of the northern wall up to the middle. Except Ganesa, all other eight deities are associated with their respective vahanas. A six armed Mahisa Mardini Durga and eight-armed dancing Ardhanarisvara, an image of Shiva-Parvati and the images of Ganga and Yamuna are also seen on the wall of this temple,” Prof Pradhan adds. Retired diplomat Abasar Beuria says although these lesser-known temples offer a lot of information on Shaivism and Shakti cults besides artistic and architectural designs of the bygone era, the State Government is not doing enough to protect this rich heritage. For, a majority of these temples today are not getting proper treatment from the authorities.